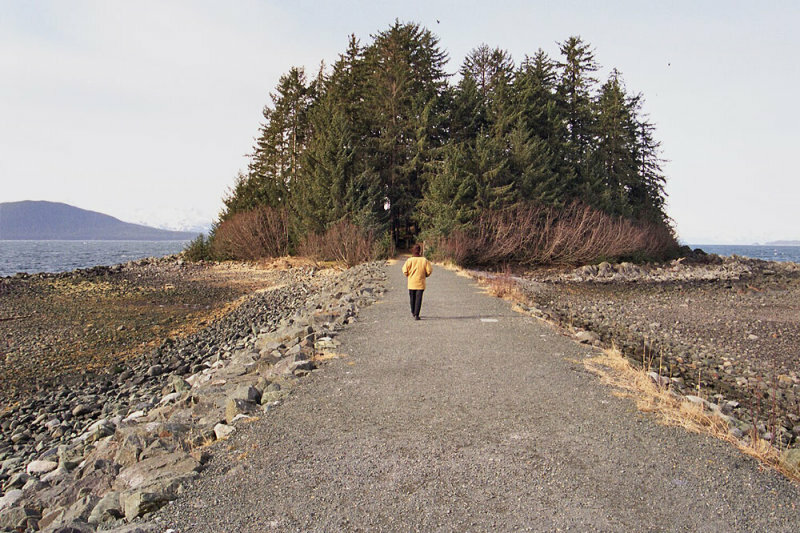 Causeway to the Shrine of St. Therese on the shore of Lynn Canal, 23 miles north of Juneau. The roman catholic Shrine to St. Therese of Lisieux, constructed in 1938-1939, is a place of special beauty, looking over Lynn Canal. in the cloistered Carmelite convent at Lisieux, France.